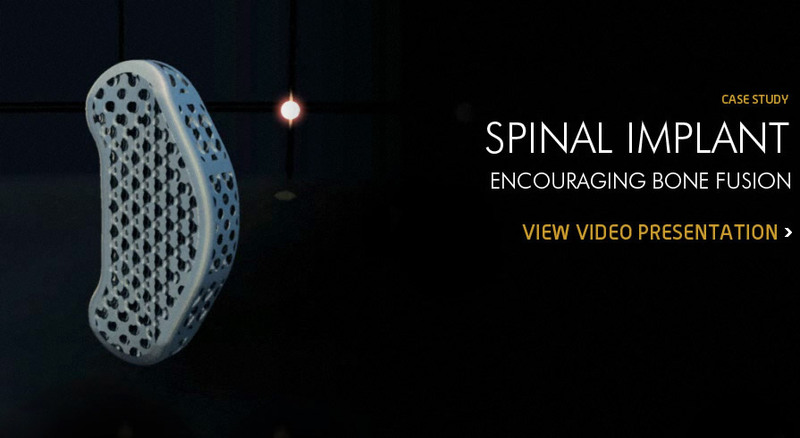 This spinal fusion implant has a lattice that has been designed in such a way as to retrain the structural integrity of the part, withstanding the loads between the vertebra whilst also encouraging bone growth into the implant itself. The implant is made from medical grade titanium and sintered using the EOS M270. After a being removed from build plate and cleaned, the part can be coated in HA to encourage bone growth and then inserted into the spine through the back of the patient. This concept design demonstrates the software’s ability to design complex lattice designs within a small volume that are well suited to the end use of the part.